Life wasn't meant to be endured. Join us on the journey to reclaiming your life! With monthly themes, expert contributors, multimedia content, free printables, vlogs and podcasts, and practical, easy-to-implement tips to help you take control of your life...because you're worth it! Hi, and welcome! I'm Mandi, a wife and mother who wears many different hats (don't we all?! ), including wife, mom, entrepreneur, homeschooler, sister, daughter, and friend. What I've realized over the last couple of years, though, is that I have to make time for myself as a woman as well. After hitting burn out a few years ago, I decided that I was finally going to make time for my passions, let go of my workaholic tendencies, prioritize the things I said mattered, and connect more with the people around me. At the beginning of that year, as I was considering my "one word" options, I kept coming back to the word "live" again and again. Not [līv], as in U2 Live in Concert!, but [liv], as in "to be fully alive." As I've reclaimed my own life, I've heard from so many other women who are overwhelmed, stressed and just surviving rather than thriving and loving their life, and the Live course was born out of my passion for encouraging other women to live life intentionally. Because this simple, four-letter word continues to impact my life, I'm excited to share what I've learned as well as encouragement and practical resources from other bloggers you know and love! The Live course is a 12-month journey to a life you love. You'll start by identifying your values and priorities and then work through each of the 12 modules, one month at a time, to focus on each topic and really dig into what it looks like in your life. To be clear, I've learned a lot and made some pretty drastic changes in my life, but I'm not preaching from the pulpit as someone who thinks she's arrived. In fact, as we began planning this course, we were going through a stressful couple of weeks, and I looked at my husband and asked, "Am I being a hypocrite by launching this course?" He reminded me that living a life you love doesn't mean everything will always be perfect or that you won't ever fall off the wagon and have to climb back on; it means embracing what life throws your way and making choices intentionally along the way. While my life today looks different than it did a year or two ago—and I hope to inspire and equip you to create a life you love as well—I am not leading this course alone. Instead, I am joined by 12 experts who exemplify the monthly themes in their own lives. They will share their stories and encouragement with you as well, and we'll all participate in this journey together. 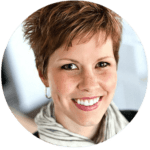 Andrea Dekker is the simple living enthusiast behind the Andrea Dekker blog, business, and brand. She is passionate about simplifying every aspect of life in a way that makes sense for real people with real lives and real budgets. She lives her version of "simple" in a 125-year-old farmhouse with her husband, their soon-to-be 4 children, and an ever-growing to-do list. Meagan Francis is a mother of five and a blogger, writer and expert on being a happier, more productive mom. Megan is the author of four books, including the The Happiest Mom: 10 Secrets To Enjoying Motherhood. 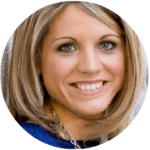 Megan is a frequent contributor to magazines and websites like Parents, Good Housekeeping, and Babble.com and has been seen on HLN’s Raising America, Fox & Friends, and the New York Times. 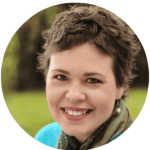 Crystal Paine is a wife, mom of three, founder of MoneySavingMom.com, and author of the New York Times bestseller, Say Goodbye to Survival Mode. Stephanie Langford is wife to a handsome entrepreneur and mama to five awesome and noisy kids. Together, they lead a rather unconventional life - homeschooling their kids, running multiple businesses from home, and doing wacky things like packing up their kids and backpacking around the world for a year. 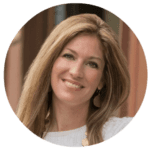 Lisa Grace Byrne, MPH is a mom of three, founder of WellGrounded Life and a trusted authority on women’s vitality and wellbeing. 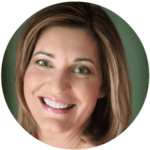 She is a passionate speaker, teacher, and mentor, and recently published the bestseller, Replenish: Experience Radiant Calm and True Vitality in Your Everyday Life. Tsh Oxenreider is the author of Notes From a Blue Bike, and is the founder and chief spearheader of The Art of Simple. She’s passionate about people living simply so that other people can live, and firmly believes a passport is one of life’s greatest textbook. Anne Bogel loves strong coffee, long books, and big ideas. She’s putting a timely spin on timeless women’s issues at her blog Modern Mrs Darcy. 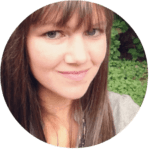 A classic INFP, Anne couldn’t choose a favorite book – or child – if you paid her, but she would love to talk about your best-loved titles and what we can learn from heroines like Lizzie Bennet and Anne Shirley all the live-long day. 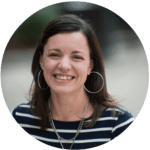 Sarah Mae is a wife, mama, homeschool teacher, blogger, and author of Desperate: Hope for the Mom Who Needs to Breathe and Longing for Paris: One Woman's Search for Joy, Beauty, and Adventure Right Where She Is. She makes her home in the beautiful countryside of Pennsylvania where she often ponders what life would be like if she actually finished all the laundry. You can find her at sarahmae.com. 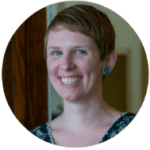 Heidi Scovel is a book collector, home educator, photographer, lazy control-freak, sentence diagrammer, house-cleaning avoider, curator of randomness, and lover of the little things. She basks in the liquid sunshine of the Pacific Northwest where she lives with her husband, three boys, and little girl. Heidi documents living lovely at Mt. Hope Chronicles. Jamie Martin is a mama to three cute kids born on three different continents. 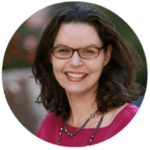 She serves as editor of SimpleHomeschool.net and blogs about mindful parenting at SteadyMom.com. 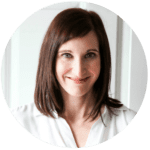 Jamie is also the author of Steady Days and Mindset for Moms. Amy Allen Clark has been the driving force behind MomAdvice.com since 2004. In addition to running a successful community for women and running after her two kids, she has served as spokesperson for brands like ALDI, Minute Maid, Cascade, Glade, and Cheer and is currently the home management "genius" for Kenmore. She is the author of The Good Life for Less published by Penguin Books. "I am so happy that I joined this class! It is helping me to be more accountable, and leading me in a 'happy direction'. I am at the point in my life where it was time to do something for myself, and this is a "beautiful" something!!" "I have really enjoyed the LIVE course! I have received a lot of good, practical advice from the presenters and the commenters in the Facebook group. I had many "a-ha" moments during my first month and was able to put many of the ideas into practice. I can't wait for the next topic!" "The Live course is helping me to reclaim a little bit of my day for myself. The daily questions on Facebook reinforce the material and act as a reminder to put the material into practice. Overall, I am absolutely loving Live and I'm so glad I signed up." "The course is very thought provoking, which is what I need right now in my life, especially this year."